Good News!!! The new Meike MK-35mm f/1.4 Lens for Sony E mount is now first in stock and shipping at Amazon/ B&H. It is a fast f/1.4 designed along with a versatile focal length for working with a wide variety of subject matter. Individual lens elements feature a multi-layer nano coating to control surface reflections, flare, and ghosting. This 35mm f/1.4 lens is designed for APS-C-format Sony E-mount mirrorless cameras and provides a 52.5mm equivalent focal length. Fast f/1.4 maximum aperture affords extensive control over depth of field for selective focus techniques, and also benefits working in low-light conditions. Multi-layer nano coating has been applied in order to suppress ghosting and flare for increased contrast and color fidelity when working in strong lighting conditions. 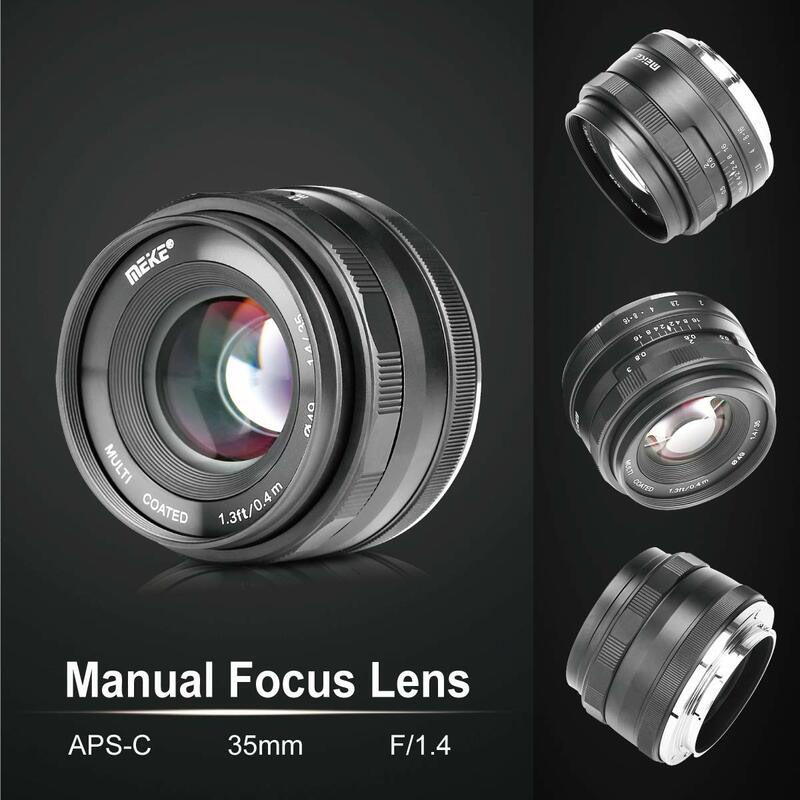 Manual focus design along with a manual aperture ring offer precise control over both focus and exposure. All-metal construction is durable and depth of field and focus distance scales have been engraved on the lens barrel for pre-focusing needs.